The countdown is on as organisers put the final touches to the DarwIN Shrewsbury Festival being held next month to celebrate the town’s most famous son. 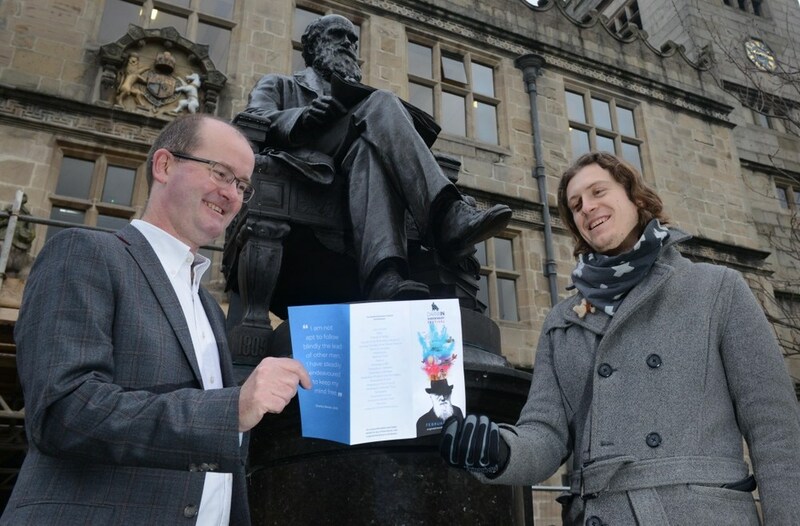 The festival will see more than 30 free events taking place around Shrewsbury to encourage people follow Darwin’s lead to be curious and think independently. Events will run from February 8 to 24 with a promise of something to suit all tastes and all ages. Aleks Vladimirov, partnerships manager at Shrewsbury BID which co-ordinates the festival, said: “There are a wide variety of events with many people working in groups or individually to cover just about anything Darwin related. “It’s the ideal opportunity to learn everything there is to know about Darwin and celebrate his life and achievements. “They have worked really hard to put everything in place for the start of the festival and it looks like being a hugely impressive event once again. Because it’s being held over more than a fortnight, the festival also gives visitors the opportunity to look around our wonderful town and see what Shrewsbury has to offer. Among the events is an exhibition about Darwin’s early life being held by Shrewsbury Civic Society at The Bear Steps Gallery from February 11 throughout the month, which will include a life-size figure of Darwin which people can have their photo taken with. There is also a Darwin themed wild play for youngsters on February 20 where children can discover and learn about wildlife that would have fascinated Darwin. The final of the Shropshire Young Thinkers’ Competition marks the beginning of the festival on February 8 where youngsters aged 7-16 will be finding out who has won some amazing prizes – including a helicopter flight. More than 500 children have submitted entries in the form of a letter to Darwin, trying to get him to take a journey into the past, present or future in the real or imaginary world. The hundreds of entries will be reduced to just 20 finalists who will be performing live at the University Centre Shrewsbury on the night. Guided tours of Darwin’s childhood in Shrewsbury will be held on six days, with the tour starting from St Chad’s Church and concentrating on the areas of the town which acted as his inspiration. The festival will also be playing host to Darwin’s great, great, great, granddaughter Gwen Burnyeat who will be giving a talk on the Colombian peace process from 2012 to 2016. The talk, ‘peace pedagogy’ takes place on February 22.